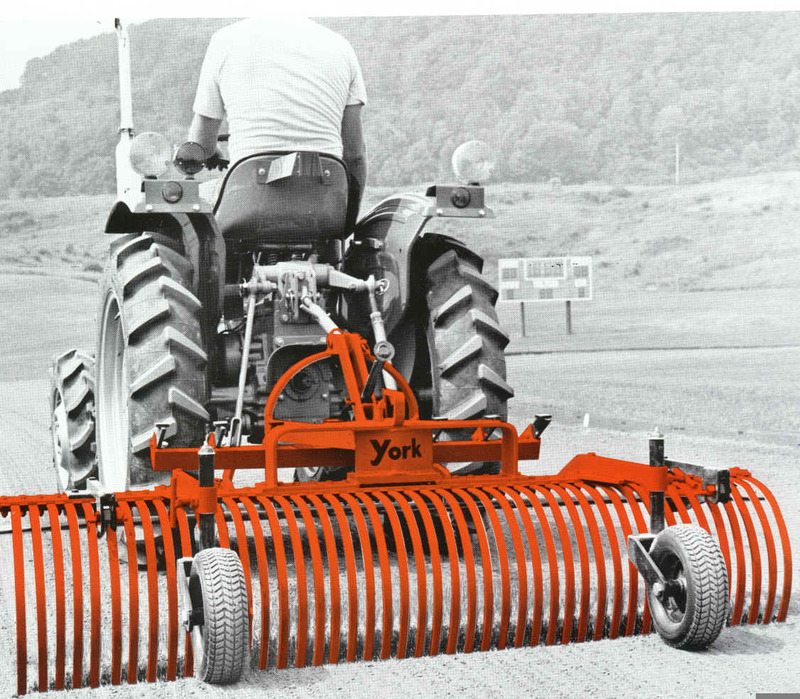 The York Model RS Landscape Rake is a compact, full size landscape rake, that mounts on tractors from 10 to 20 horsepower with a category 1, 3 point hitch. 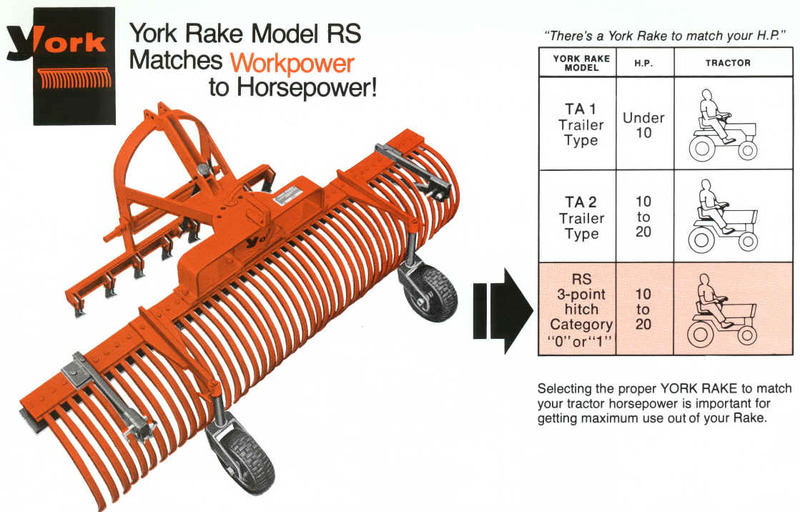 Complete more projects in less time with the Model RS which is specifically engineered for use with category 0 or 1 3 point hitch tractors. The model RS combines scarifying, blading, raking...removes stones and debris, spreads topsoil, and also pulverizes and mulches. 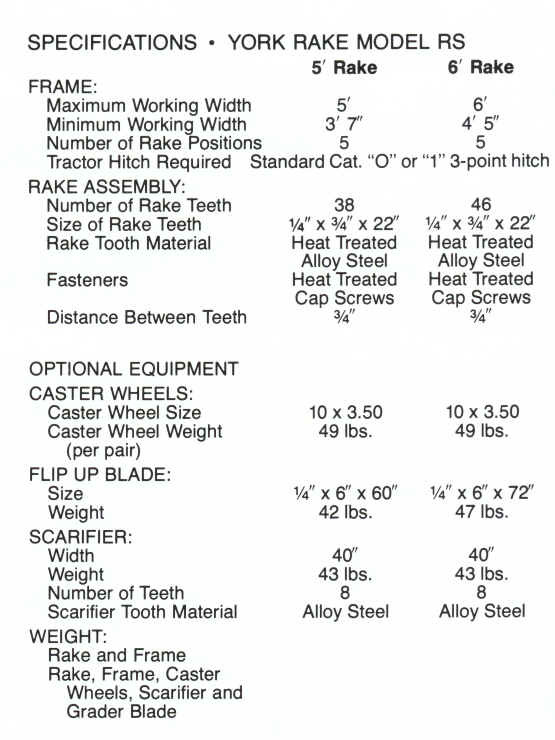 The model RS landscape rake is designed for use by landscape and seeding contractors, nurseries, park maintenance departments, estates, golf courses, cemeteries, beaches, schools, resorts, and recreational areas. If ordering a rake, order the accessories from the drop down menus on the order page; otherwise, if ordering the accessories separately, click the order form button below each item.